Kick off your visit on the 27th (Sat): see exotic creatures in open habitats at a safari tour. To find where to stay, reviews, more things to do, and more tourist information, refer to the Johannesburg trip planner. Amsterdam, The Netherlands to Johannesburg is an approximately 14.5-hour flight. You can also do a combination of train and flight. The time zone difference moving from Central European Time to South Africa Standard Time is 1 hour. Prepare for a bit cooler weather when traveling from Amsterdam in July: high temperatures in Johannesburg hover around 22°C and lows are around 5°C. Cap off your sightseeing on the 27th (Sat) early enough to travel to Addo Elephant National Park. 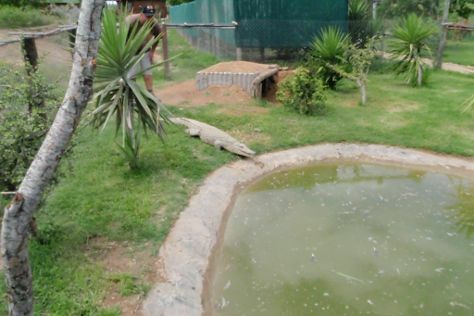 Kick off your visit on the 28th (Sun): stroll around Addo Elephant National Park and then tour the pleasant surroundings at Addo Raptor and Reptile Centre. To find maps, ratings, more things to do, and other tourist information, read our Addo Elephant National Park trip builder tool . You can do a combination of flight and taxi from Johannesburg to Addo Elephant National Park in 5 hours. Other options are to drive; or do a combination of bus and taxi. Expect a bit warmer evenings in Addo Elephant National Park when traveling from Johannesburg in July, with lows around 9°C. Finish up your sightseeing early on the 28th (Sun) so you can go by car to Port Elizabeth. On the 29th (Mon), see exotic creatures in open habitats at a safari tour. To find photos, maps, where to stay, and other tourist information, read our Port Elizabeth trip builder . Traveling by car from Addo Elephant National Park to Port Elizabeth takes 1.5 hours. In July in Port Elizabeth, expect temperatures between 23°C during the day and 9°C at night. 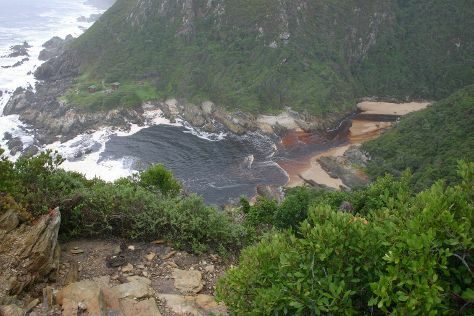 Wrap up your sightseeing on the 29th (Mon) to allow time to drive to Tsitsikamma National Park. Start off your visit on the 30th (Tue): trek along Otter Trail, take in the exciting artwork at Bitou Art Gallery, then snap pictures at Storms River Suspension Bridge, and finally make a trip to Tsitsikamma Forest’s Big Tree. To see more things to do, maps, other places to visit, and more tourist information, read our Tsitsikamma National Park trip builder website . Traveling by car from Port Elizabeth to Tsitsikamma National Park takes 2.5 hours. Alternatively, you can take a bus. In July, daily temperatures in Tsitsikamma National Park can reach 22°C, while at night they dip to 13°C. 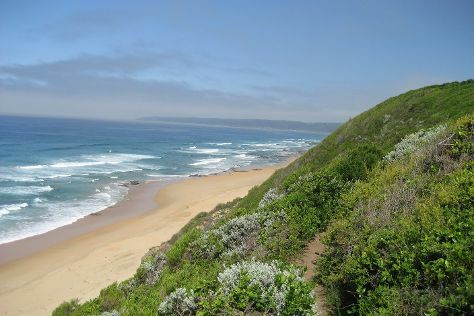 Wrap up your sightseeing on the 30th (Tue) to allow time to drive to Plettenberg Bay. Start off your visit on the 31st (Wed): stroll through Jukani Wildlife Sanctuary, then stroll through Lawnwood Snake Sanctuary, then explore the wealth of natural beauty at Garden Route (Tsitsikamma, Knysna, Wilderness) National Park, and finally pause for some serene contemplation at St. Christopher Catholic Church. On the 1st (Thu), you'll have a packed day of sightseeing: tour the pleasant surroundings at Radical Raptors and then contemplate the waterfront views at Knysna Lagoon. To see photos, other places to visit, more things to do, and other tourist information, refer to the Plettenberg Bay trip planner . Drive from Tsitsikamma National Park to Plettenberg Bay in an hour. Alternatively, you can take a bus. Expect a daytime high around 22°C in July, and nighttime lows around 13°C. Cap off your sightseeing on the 1st (Thu) early enough to catcht the bus to Wilderness. Start off your visit on the 2nd (Fri): stroll through Perdepoort Horse Tails, enjoy the sand and surf at Wilderness Beach, and then take in the exciting artwork at Pharoah Art Gallery. To see more things to do, ratings, traveler tips, and more tourist information, read our Wilderness road trip site . You can take a bus from Plettenberg Bay to Wilderness in 1.5 hours. Alternatively, you can drive. Plan for a bit cooler nights when traveling from Plettenberg Bay in August since evenings lows in Wilderness dip to 9°C. 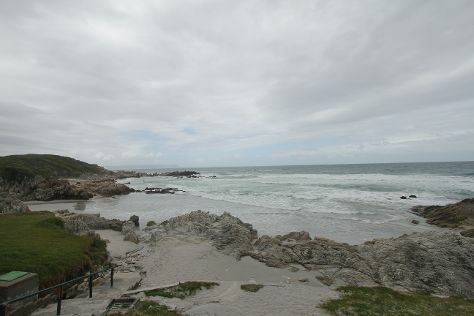 Wrap up your sightseeing on the 2nd (Fri) early enough to travel to Hermanus. Kick off your visit on the 3rd (Sat): stroll through Stony Point Penguin Colony and then enjoy the sand and surf at Grotto Beach. Keep things going the next day: see the sky in a new way at Gansbaai & Pearly Beach Horse Trails, then hike along Phillipskop Mountain Reserve, and then tour the pleasant surroundings at Panthera Africa - Big Cat Sanctuary. To find maps, ratings, where to stay, and other tourist information, you can read our Hermanus trip planner . Do a combination of flight and taxi from Wilderness to Hermanus in 2.5 hours. Alternatively, you can drive; or take a bus. In August, plan for daily highs up to 21°C, and evening lows to 9°C. Cap off your sightseeing on the 4th (Sun) early enough to go by car to Cape Town. Start off your visit on the 5th (Mon): take some stellar pictures from Cape of Good Hope, tour the pleasant surroundings at Boulders Beach, and then take in the dramatic natural features at Twelve Apostles. On the 6th (Tue), you'll have a packed day of sightseeing: hike along Platteklip Gorge and then kick back and relax at Bloubergstrand Beach. To see where to stay, other places to visit, photos, and tourist information, go to the Cape Town trip planner . You can drive from Hermanus to Cape Town in 1.5 hours. Alternatively, you can do a combination of taxi and bus; or do a combination of taxi and train. In August in Cape Town, expect temperatures between 21°C during the day and 9°C at night. Wrap up your sightseeing on the 6th (Tue) to allow time to travel back home.